Congratulations to all prize winners! Have a nice trip back home, see you in another tournament in Turkey! 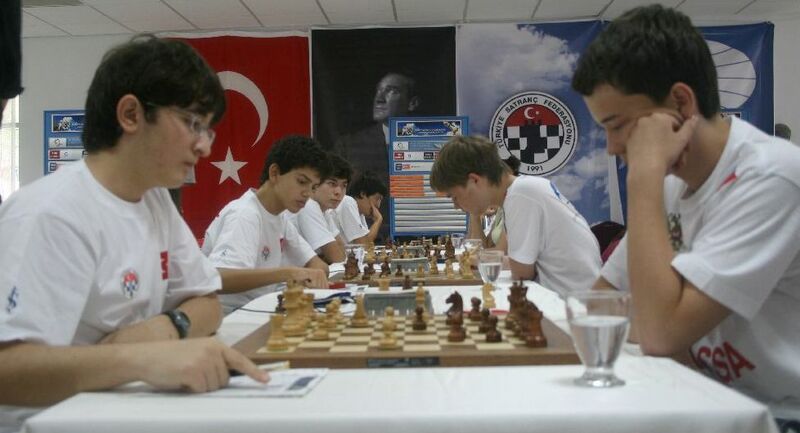 The closing ceremony World Under 16 Chess Olympiad was going to held at the front garden of the Macit Özcan Sports Complex but it had to be reorganized in the residence due to a heavy rain. However, the warm atmosphere of the closing ceremony was not reduced with the participating of the protocol by Deputy Governor of Mersin Mr.Ahmet Büyükçelik, Deputy Mayor of Mersin Metropolitan Municipality Mr.Erol Ertan, Youth and Sports Director of Mersin Mr.Emrullah Taşkın, Honorary President of FIDE Mr.Florencio Campomanes and the President of the Turkish Chess Federation and the Vice-President of FIDE Mr.Ali Nihat Yazıcı participated to the closing cermeony together with the most of the Turkish Chess Federation board. Details, board and team prizes below. 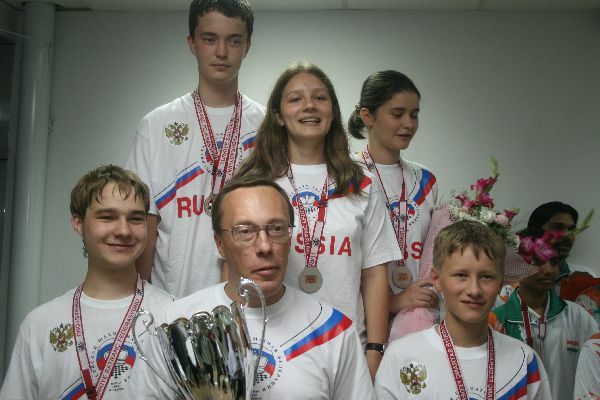 Russia defeated Azerbaijan narrowly with 2.5-1.5 but that was not sufficient for the top seeds to win the gold medal since they were caught by India who defeated England with 3.5-0.5 to take the gold after equalizing the scores and having the better tie-break. The top two teams who had 28.5 points were followed by Philippines who scored 26 points after defeated İSEM 3-1. 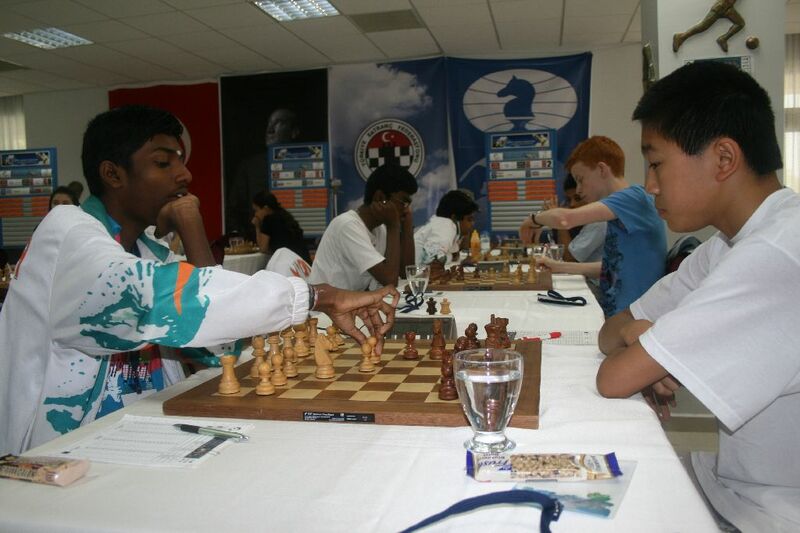 One of the players of the club Zeytinoğlu made draw with the Filipino prodigy GM Wesley So despite being a pawn up. Russia defeated Turkey-A 3.5-0.5 ending the hopes of the home side entirely while leading with 26 points entering the final round. 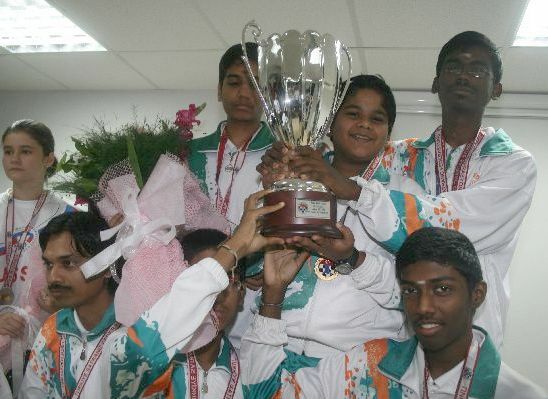 India defeated Switzerland-A 3,5-0,5 to take the second place. 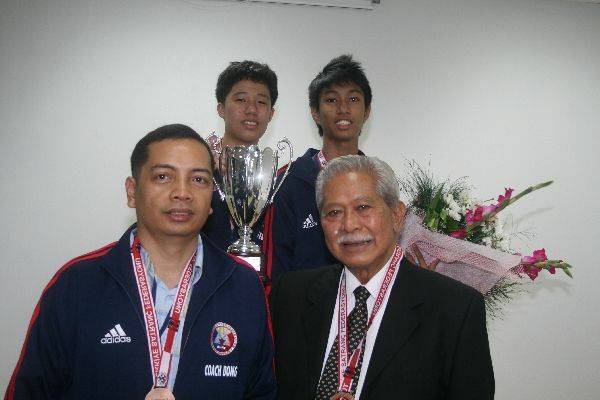 Third place is occupied by Philippines, who drew with Azerbaijan and has 24 points. Azerbaijan has 23 points. Round 6 : Russia is Back!